Right-click/save for full-sized versions of the pictures. I tried several things to remove a stain, without success, until I used oxalic acid. I bought the crystalline form online, but many deck cleaning solutions contain it, too, and they're typically available at Lowe's, Home Depot, etc. Here's how the cabinet looked before restoration. 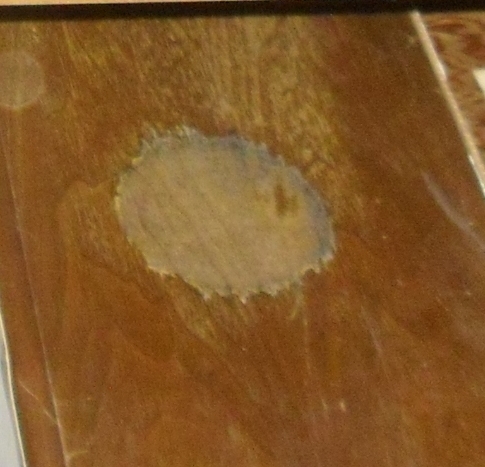 The lacquer is completely gone in a circle, and there's a dark ring stained into the wood. Here's the end result. 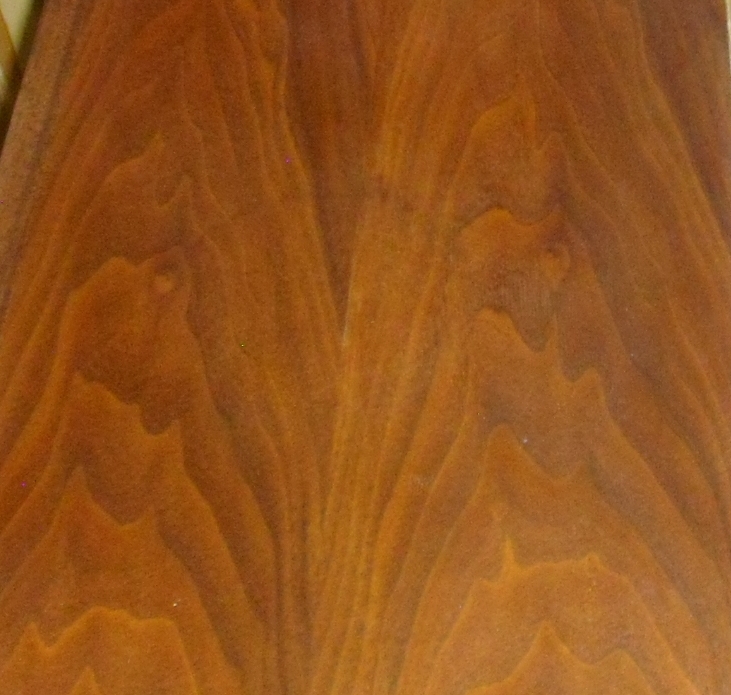 I scraped all the lacquer off this one side first, then sanded it down, before applying a new coat. NOTE: check an unobtrusive spot. The one repaired side is a different shade now than original. You can see it in the before and after pictures. You can also see I wasn't entirely successful in removing the stain.